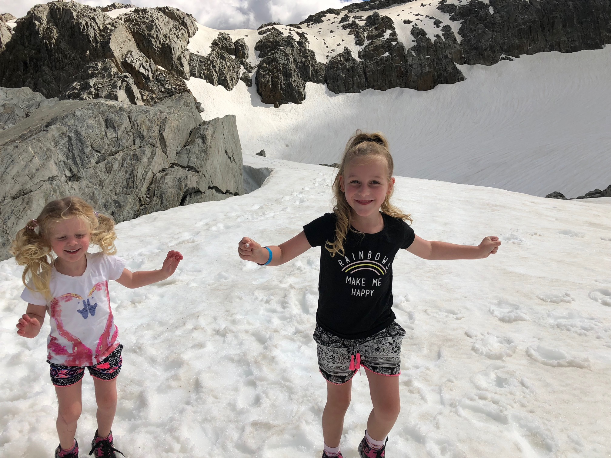 One of the absolute highlights of our New Zealand trip was visiting Fox Glacier and taking the kids for a snow fight on the mountain top. If you’re on the west coast of New Zealand’s south island, be sure to schedule a stay at Fox Glacier. 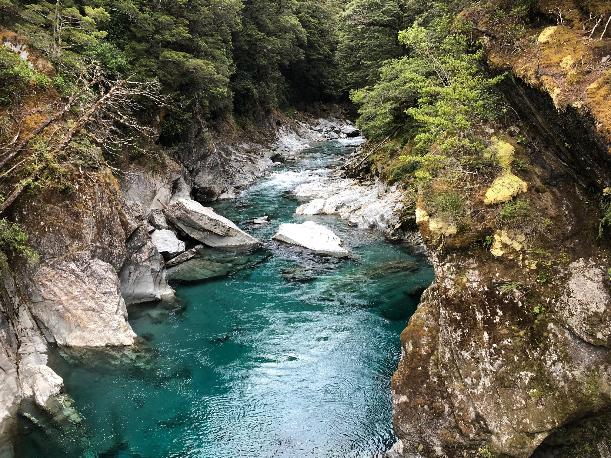 Getting to Fox Glacier was one of the longer legs of the driving we did in New Zealand, but it was very much worth the effort to experience what Fox Glacier had to offer. 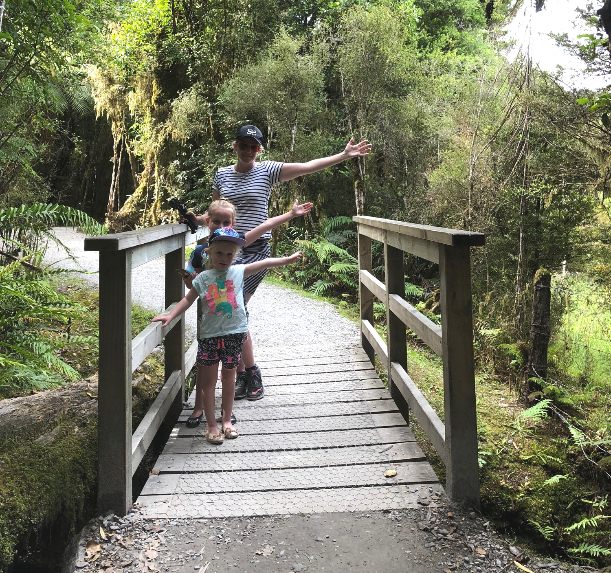 We had to break the trip from Dunedin to Fox Glacier up over two days of driving. We stopped overnight in Makarora where we stayed at a camp site called Makarora Tourist Centre for the night. While we were there we were sure to stop at the nearby Makarora Blue Pools. This was a short walk from the road and was very popular as it is a nice easy walk for kids. 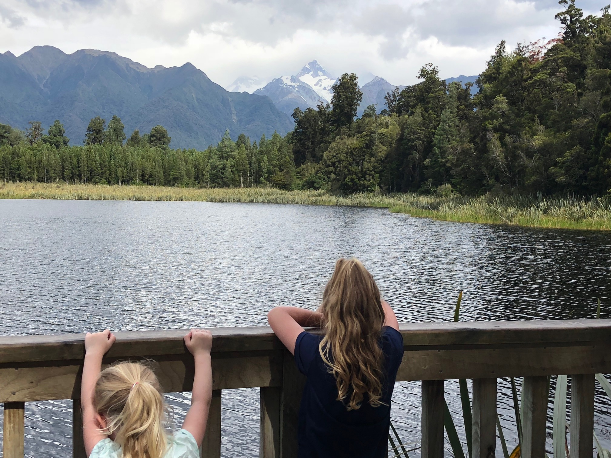 When we arrived in Fox Glacier we ventured out to Lake Matheson which is famous for its reflected views of Mount Cook in the lake. 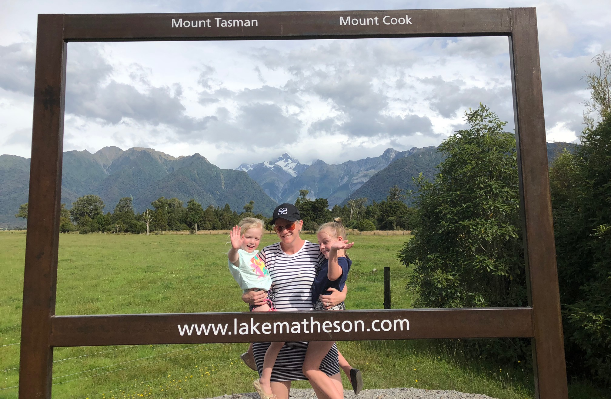 We took the tribe for a short walk to the first vantage point which was quite enough for us for the day, but you could do a full loop on the walking track of Lake Matheson if you had a bit of extra time. The next morning we had the option of a walking track which was around a one hour return trip from the car park, or catch a helicopter tour which landed on the mountain right next to the glacier. 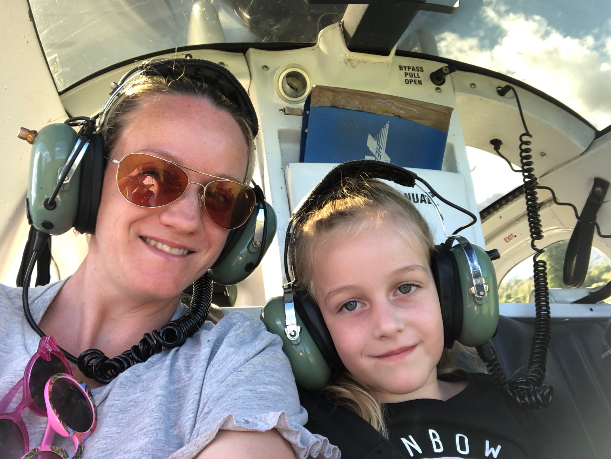 We opted for the heli tour which was amazing and something I highly recommend doing with the kids if you can. The helicopter ride was half an hour return. 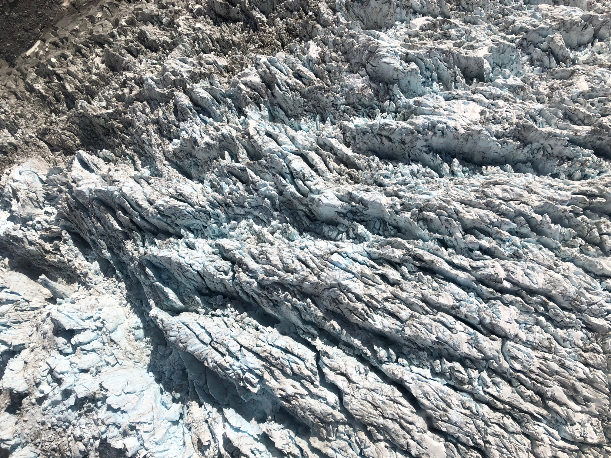 We got to fly right over the top of Fox Glacier and see the glacier from above. It was absolutely incredible. 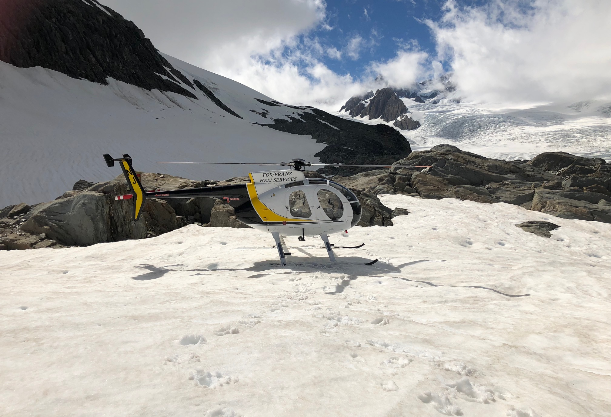 We flew with Fox Glacier Heli Services and chose the flight that landed on the mountain and let us jump out and play in the snow. After we’d had a visit on Fox Glacier, we all switched seats and flew over Franz Josef Glacier before returning to town. 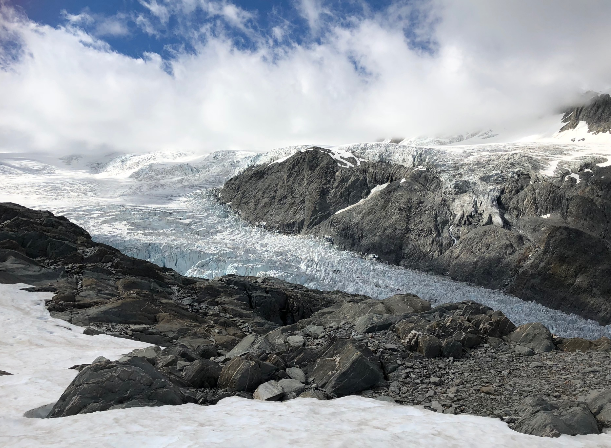 If you are thinking of taking a helicopter tour in Fox Glacier, go first thing in the morning because the weather can change very quickly, grounding the helicopters. Upon our return the grey clouds rolled in and the flights right after ours had to be changed to different flight paths for safety. And within an hour it was pouring rain for the rest of the day. We are so glad we took the advice of someone else who had been there and told us to do the flight first thing in the morning. After our flight we drove 25km to Franz Josef to see what the town had to offer. Both Fox Glacier and Franz Josef are small towns with only a handful of places to stay and things to do. The main attractions are undoubtedly the glaciers. So be sure to book your accommodation well in advance to ensure you secure time there. 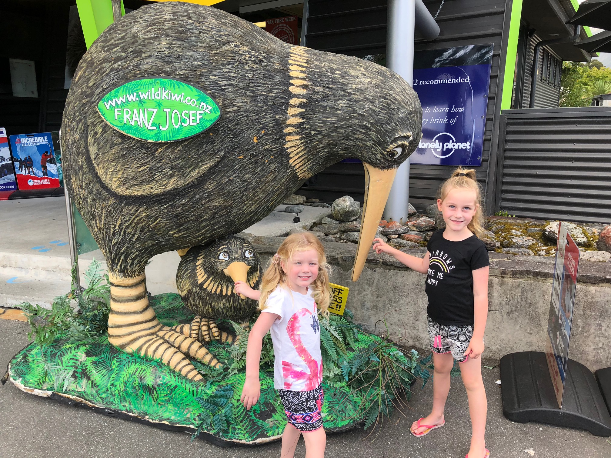 We did check out West Coast Wildlife Centre – a place where you can see the endangered kiwi in a protected enclosure. 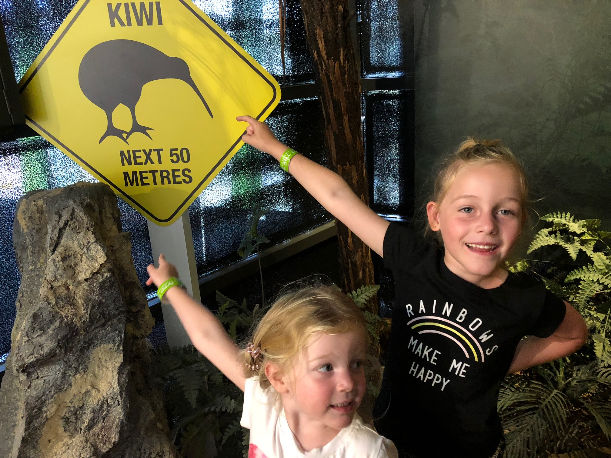 It was very hard to see the kiwi birds but we did catch glimpses of them running and scurrying around which the girls thought was hilarious, and they did chirp and make very sweet noises much to our delight. They can only be seen in red light so as not to damage their eyes and because they’re nocturnal, they are in a dark enclosure which is why it’s tricky to see them. 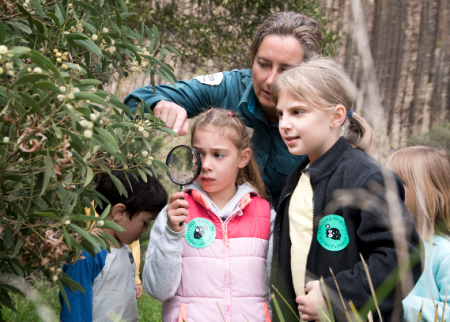 But we did take refuge here out of the rain and enjoy learning about some of New Zealand’s native animals. If I had to say what was the absolute highlight of our holiday, I would say it was this part of the trip. The heli tour was brilliant, the chance to land on the mountain next to Fox Glacier and play in the snow was something I’ll never forget. The kids still talk about it in great detail and remember the fun of flying in a helicopter. If you’re thinking of going – it’s bucket list stuff. Just plan your trip and pray to the weather gods for a beautiful day to explore this stunning natural gem.